The Cheadle Hulme Methodist Church, Ramillies Avenue, is holding informal church sessions on the first sunday of each month. Messy Church provides an environment for people who would like to come to a completely informal style of church. 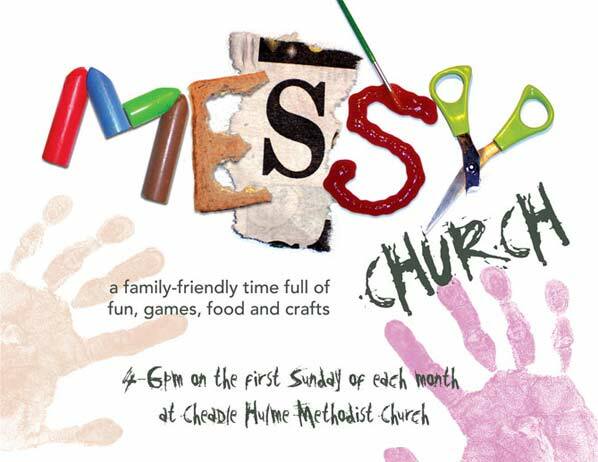 Unlike an activity group or kids club, Messy Church is for everyone, regardless of age, and includes a range of activities - crafts, food, games, discussion, singing & stories. Bring a picnic - drinks will be provided. Please note that Messy Church is not a drop off club and parents need to stay to supervise. For more details, contact the church office on 0161 485 1605. Visitor 5 since 14 Apr 19.